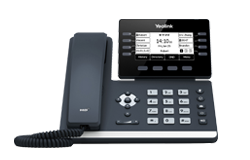 Yealink phones have many features and are budget conscious so you can afford to mass deploy them. 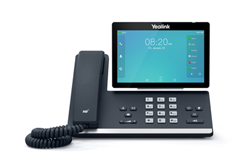 The user-oriented design concept of Yealink phones deliver a friendly interface and easy operation with the ability to customize programming features and increase productivity. 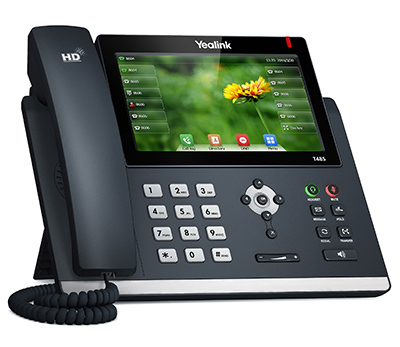 Cordless Phone System combining the benefits of wireless communication with rich business features of Voice over IP. 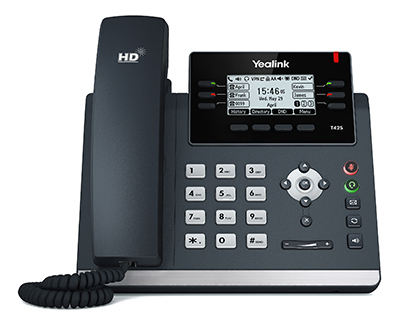 Conference room phone with noise proof technology, HD full duplex speakerphone and 5 party conferencing. Can be paired with two additional wireless microphones. Comes with a 5-inch multi-touch screen with 720×1280 resolution and built-in WiFi/Bluetooth. 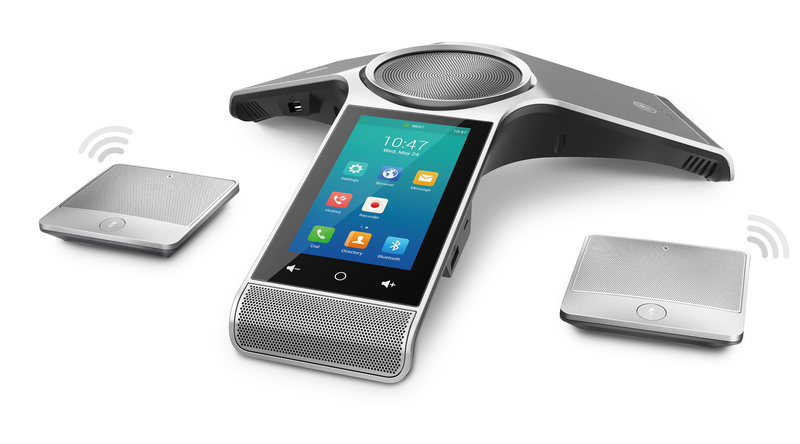 Speakerphone with 2.7 in. 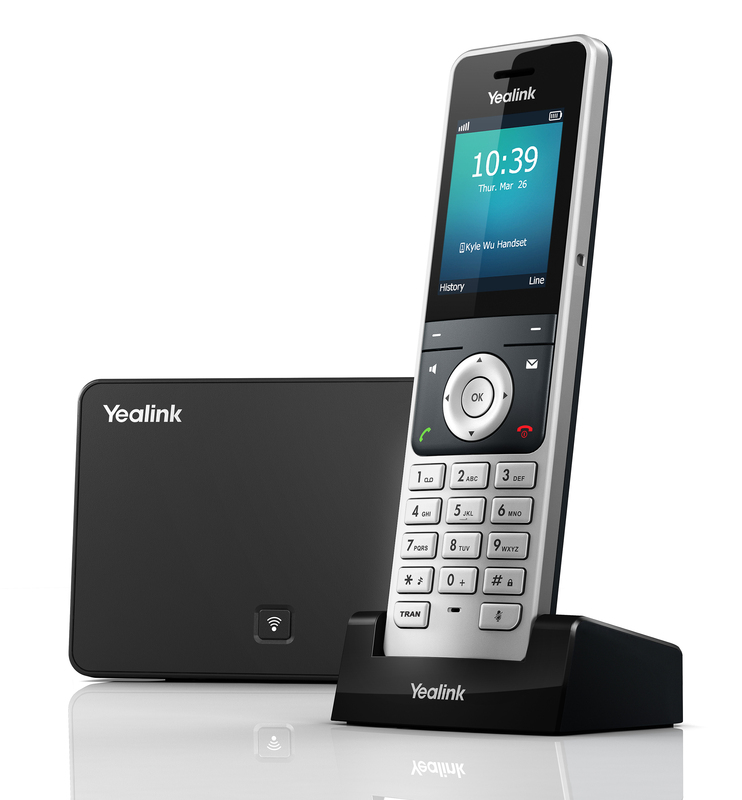 monochrome graphical LCD display, 12 SIP accounts, 5 memory keys x 3 levels, full duplex speakerphone. Two color BLF indicator lights. Perfect for file rooms, kitchens, hallways, etc. 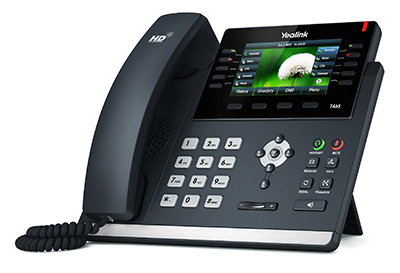 Fully featured SIP Speakerphone with 4.3 in. 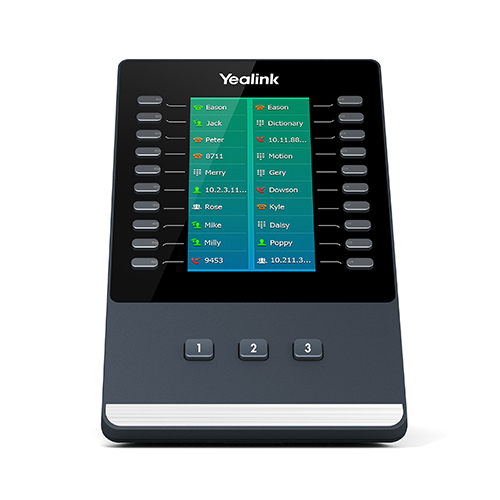 color LCD graphical display, 16 SIP accounts, 9 memory keys x 3 levels, full duplex speakerphone, supports expansion modules. Includes stand with 2 adjustable angles. Wall mountable, Two color BLF indicator lights. Perfect for general use by all employees. 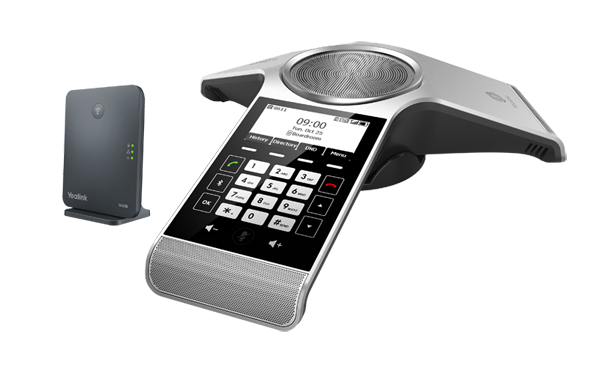 Fully featured SIP Speakerphone with 7 in color LCD touch display, 16 SIP accounts, 29 touch keys, full duplex speakerphone, supports expansion modules. Includes stand with 2 adjustable angles. Two color BLF indicator lights. 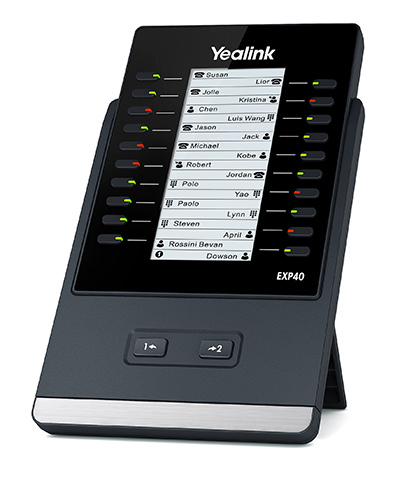 Wall mountable, perfect for managers and power-users. 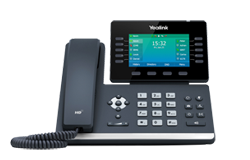 Expansion Module supported on SIP phone models T46S and T48s with 20 buttons on two levels for an effective total of 40 buttons.120 x 320 pixel monochrome graphical LCD display. Includes stand with 2 adjustable angles. Wall mountable.